Lyman Lumber — Brittell Architecture, Inc.
Our firm worked with a local contractor to provide design/build services for Lyman Lumber on a site in the Mint Farm Industrial Area of Longview, Washington. Lyman Lumber chose Longview to locate a new wood truss plant and wall panel plant to serve its Southern Washington and Northern Oregon customers. 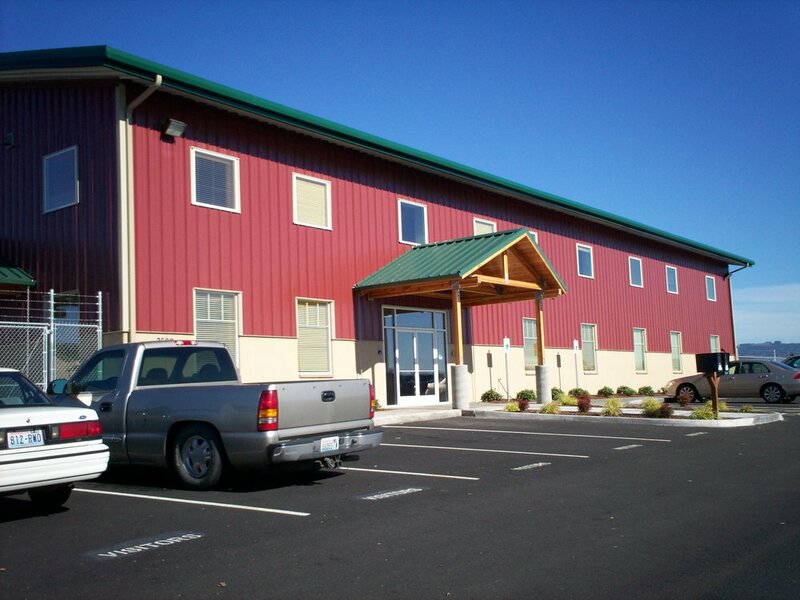 The project was completed in two phases: the first, Tri-County Truss, includes an administration building, two production buildings, and a saw shop. The second phase is a wall panel plant called Woodinville South. The project was completed in the spring of 2007.